No secret, that we are a basketball nation. So we are very excited and proud, about EuroBasket 2011 taking place in Lithuania. 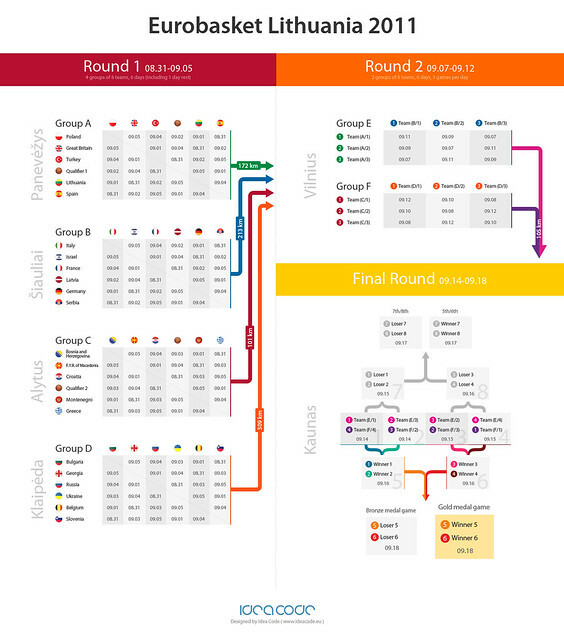 This infographics with EuroBasket 2011 group structure and game schedules is our contribution to the even preparations. Any corrections or improvement suggestions are very welcome.